Kobold/Bron Lighting - also known as Kobold Lighting, which is under the Bron Lighting umbrella - is the world's leading maker of high-quality, weather-proof, multifunctional daylight systems. 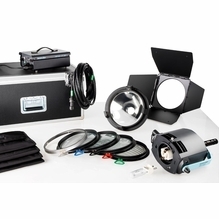 BarnDoor Lighting offers the appropriate Kobold light for your outdoor film and video lighting needs, whether you're shooting from the sidelines or the top of a mountain. These are some of the toughest weather-resistant HMI lights on the market, so you can control the quality and output of your lighting regardless of weather. 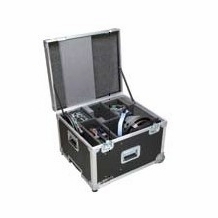 Kobold HMI Light Kits are unique in that many come standard with highly durable airline cases so that you can safely transport them around the world. Each kit comes with multi-purpose, all-weather HMI lights, as well as added gear such as par reflectors, barndoors, lens sets, lens bags and cables. 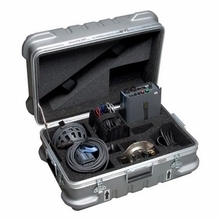 Click on each Kobold lighting kit to see everything included with the package. BarnDoor Lighting employs a knowledgeable staff of lighting experts who can assist you with your questions via phone: 1-888-276-3667 or e-mail: info@barndoorlighting.com.